Born in Jerusalem in 1978, Anita grew up in Ghana. She moved to Canada in 1999 to pursue her post secondary education in Broadcast Journalism and languages. After obtaining a BA in Cultural Studies at Trent University, Erskine landed a job with Milestone Radio Inc, owners of FLOW 93.5FM, which began her full-fledged career as a Communications Consultant and on – air host, single handedly producing, researching and writing for, directing and hosting The Word, an urban gospel program and steering it to success. 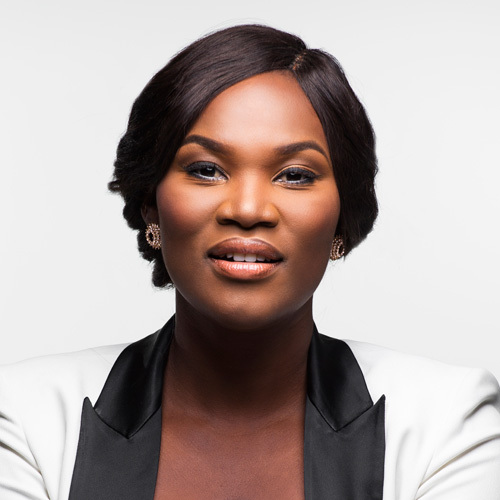 Moving back to her home country, Ghana, in 2006, Anita Erskine left TV and Radio behind briefly and plunged right into the deep end of Ghana’s competitive strategic communications industry. She worked with Origina8 Publicis on brands such as Nestlé (Nescafe, Maggi & Cerelac) Guinness Ghana Breweries (Guinness) Coca Cola, Ghana Breweries, Databank and Cadbury. It was an especially exciting time because she was also working on TV3’s Mentor – a job she loved as it involved music! In 2007, she began her corporate career by working as the Corporate Communications Manager for Millicom Ltd, operators of Tigo. Although extremely passionate about brands, advertising and marketing, this experience also honed Anita’s interest in Public Relations, as the two often went hand in hand. While working full time in Corporate Ghana, in 2008, Anita landed a role as the Ghanaian Correspondent and Producer for MNET’S Studio 53 – a documentary lifestyle show, which equipped Anita with a firm grasp of the fast paced often challenging demands of TV production and programming in Africa. Anita decided to go behind the scenes in order to further develop her business and technical knowledge of TV production. In 2009 Viasat 1 presented that unique opportunity by providing Anita with a producer consultancy role that would require her to build bespoke TV shows and content for the channel’s growing and demanding viewership. Her key responsibility included developing formats, recruiting and training on screen talent, sculpturing overall look and feel of each show from set design, to graphics, to soundtracks and treatment. She also ensured that each show would resonate with the African viewer while meeting Viasat 1’s international standards. Anita prides herself in leading the team of strong willed and open minded Ghanaian producers whose combined efforts moved Viasat 1 to one of the most watched terrestrial TV networks in Ghana in only 3 years. Over the years Anita has developed a deep passion for her identity as an African Woman. This is something that she describes as the result of life’s many experiences – the most proud of which she lists as being a mother, wife and a career woman. Today Anita loves to share her experiences, with the hope that someway, some how, more and more Ghanaian girls will be inspired by her work.